Do you wonder how to be a successful YouTuber? Have you ever thought about starting a YouTube channel to share your knowledge with the world? Or maybe you already have one and would like to take it to the next level? If so, keep reading this article. Today, I am interviewing Sadia about her personal experience as a successful dietician turned YouTuber. 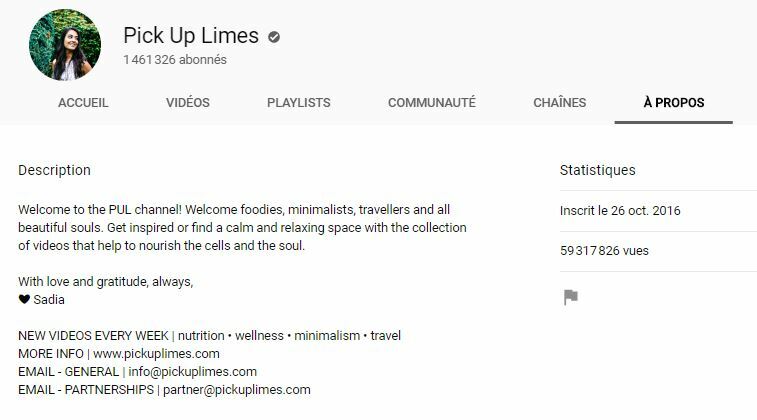 Sadia’s YouTube channel Pick Up Limes has almost 100 videos with almost 60 million views, and more than 1.4 million subscribers. 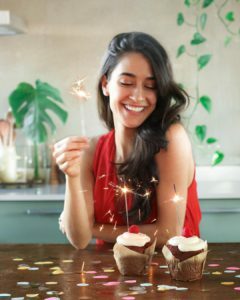 Her video below in this article, published last year around her birthday, hit more than 4.2 million views. I had the pleasure to meet Sadia three years ago. Her partner Robin and my husband Koen are best friends. Robin was actually Koen’s best man at our wedding. I immediately enjoyed Sadia’s natural, joyful and gracious company. I do not see her as often as I would like, so I was really honored that she answered my questions so open-heartedly. 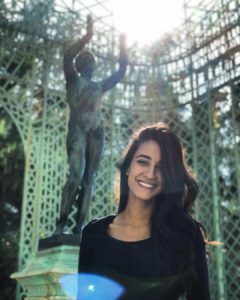 After you read this interview, let me know: Are you going to watch more of Sadia’s videos? Are you planning to give the YouTube adventure a try? Let me know in the comment section below. I look forward to reading you! Sadia, Can you Tell us a Little about Yourself? 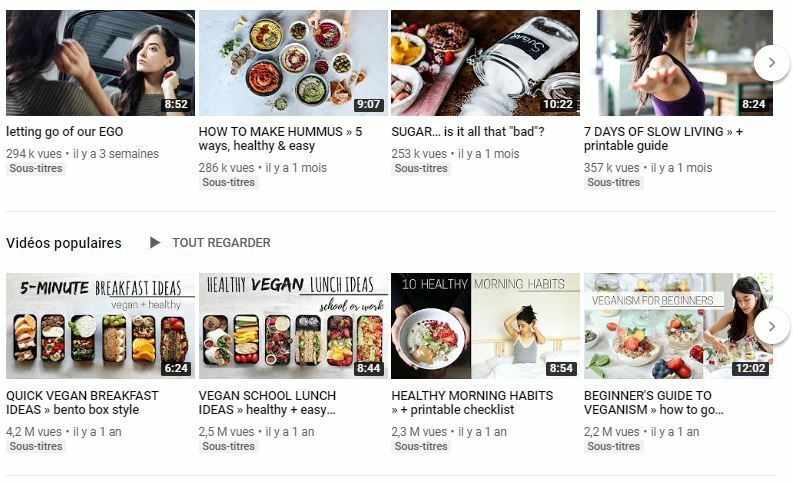 Can you Tell us about your Experience as a Dietician and as a YouTuber? What is your YouTube Channel Pick Up Limes About? I am the daughter of two exceptionally wonderful parents, the youngest of three siblings. I have two older sisters. I’m lucky to have grown up in a tightly bonded and loving little family. My parents immigrated to Canada from Afghanistan, and I’ve always loved being able to identify as a Canadian. It’s such a multinational and diverse country, where everyone is accepted for who they are and for where they’ve come from. 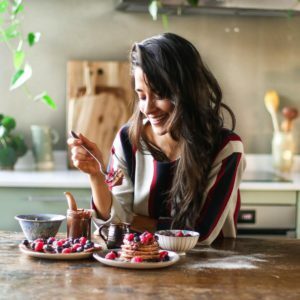 I’m a Dietitian turned YouTuber, now living in the Netherlands. I’m enthralled with nature. Having been from Vancouver, Canada, I became so used to all the elements: mountains, lush forests, the expansive ocean, both sun, and snow. It was lovely. As much as I can, I like to get outside: walking through a forest, cycling, hiking, swimming, slack lining, and rock climbing are some of my favourite outdoor activities. I’m definitely somebody who loves being around people. The energy in a group fuels me, but at the same time, if I could choose between going out to a party or staying at home, cuddling up and watching a movie, I would always choose the latter. I love to listen to audiobooks, especially in the personal development genre. They have transformed my life in every way. I also love to cook. I’m a total foodie. I love trying new recipes and exploring new places to eat, especially when it involves tasting the cuisine of countries and cultures I’m unfamiliar with. I went to university after high school not really knowing what I wanted to specialise in. All I knew was that I wanted to become a doctor. In order to apply to medical school, 3 years of prerequisite courses were required, so I would need an undergraduate degree first. After my first year in general sciences, I was told I had to declare my major, and I had no idea what to choose. I was going through the list of options and I saw Dietetics as one of them. It was the closest thing to medicine that was offered at an undergraduate level. I figured even if I wasn’t to get into medical school on my first try – because in Canada it’s incredible competitive to get into – at least I would be able to work in hospitals as a Dietitian, gaining some experience working with clients. At the least I would learn a little about nutrition, which would probably be good for me. It’s funny, looking back, that I chose Dietetics as my field of study, because I ate terribly. I was the classic freshman in university who ate burgers and french fries and hash browns, for most meals. Chicken nuggets for dinner and ice cream for dessert were my favourite. I remember clearly, one day, my mum visited my dorm on campus and brought a bowl of fruits, one of each kind: an apple, orange, pear, banana, kiwi. She placed it on the counter in my bedroom and said, “Please, eat it. I don’t think you’re getting enough fruits and vegetables.” Three weeks later she came to visit me again, and lo and behold, they were all rotting on the table. Needless to say, learning about nutrition was a blessing in disguise. After learning about its importance in health, I also started to learn about the implications and impact food production can have on the planet, and on other beings. Four years of studying at the university was followed by a 10-month internship working from different hospitals. It was during my internship that I became completely plant-based, or at least tried to, to the best of my ability. I had also applied to medical school in that time. It was a long application process, and at the end there was a box to check that said something along the lines of, “I approve that you may view my MCAT scores.” The MCAT is a mandatory and rigorous test required in order to apply. I took the test and performed well enough, but I didn’t see the check box at the end of the application. I missed checking the box allowing the university to view my exam results, and as a result, I was disqualified. It was such a small oversight and simple mistake, and I was devastated and upset at myself for having missed it. It was a huge blow to the ego. I would need to wait another full year to be able to apply again. Around the same time, my aunt was diagnosed with cancer. I went home to live with her; she was like a second mum to me. Months later, she passed away. I remember her encouraging me, in her last few weeks, to make time for the things I love. She said she had always wanted to travel but that she waited too long, and now she wouldn’t have the chance. She made me promise I would travel, and made me promise I wouldn’t put it off for too long. I started working as Dietitian in private practice and in hospitals after my internship. It was an incredibly fulfilling career, but I kept remember the promise I had made to my aunt. I spoke to my manager at work, and with her support, bought my ticket to Thailand. It was intended as a 6-month journey, travelling through South East Asia and what would later also be Europe. It was on that trip where I met my now partner, Robin. We travelled together a fair bit, and our bond strengthened quickly. After a few weeks, we said goodbye and parted ways; he had to return to the Netherlands to start his PhD, and I continued my solo travels. After my backpacking trip, I returned to working as a Dietitian. I really loved what I did. I loved being able to connect with clients. I learned so much from them, and wanted to learn even more. I took some continuing education courses on how to best communicate with people in a way that brings about changes intrinsically, and that was a wonderful experience. In that time, I also re-applied to medical school, but it would be months before they reviewed all the applications and before I would hear any word back. A little while later, after much thought and consideration, I resigned my role at the hospital, said goodbye to my family, packed my whole life into a suitcase, and moved to the Netherlands. I wanted to continue working with clients, but at the same time, I thought there wouldn’t be a better time to start the Youtube channel I had always daydreamed about. Someone had planted the seed in my mind a few months prior, but I was reluctant. I knew I was professionally secure in my career as a Dietitian; this new path promised no such securities. But being in a new country gave me that motivation and inspiration to try something new. You know: test the waters. Why not? That’s when I started the Pick Up Limes YouTube channel. It was incredible and terrifying all at once. Those early months were some of my favourite. I felt like I was learning so much; there was a lot of growth, development, and creativity, and I loved every bit of it. In the beginning, when anyone wants to start a blog or YouTube channel, they, or we, compare our work to those few videos that reach millions of views within a day or two. And if our video, after a week, reaches 10 views, we think, “Oh wow! I’m really not doing well! This isn’t going good.” And after a month or two the video might hit 100 views, and we think, “This is embarrassing! I think I should just stop!”. I hardly ever felt that way with YouTube. I think one reason was because I recognised that, as a Dietitian, on my best days, I could see 30 clients, and that was only if I was teaching a class that day. Realistically I would see about five clients a day. So if a YouTube video reached 5 views or 10 views or 30 views, for me, it was all in a day’s work. That was a job well done. That mindset really helped in the early days. Knowing that connecting with 5 people, or 10 people, in a positive way, was still a job well done. That was incredibly rewarding. So I really enjoyed the YouTube journey in the beginning. I know that’s the part most people don’t like very much, but I cherised it. Looking back, if I had checked that box correctly, maybe, just maybe, I would have gotten into medical school. In that case, I wouldn’t have had the opportunity to work as a Dietitian; the opportunity to learn so much from my clients. I wouldn’t have have gone travelling. I wouldn’t have met Robin. I wouldn’t have started Pick Up Limes. I don’t regret one bit that mistake I made. One door closes, another one opens, right? In those early months of YouTube, I heard word from the medical school I had applied to. This time, I was invited for an interview. To keep my options open, I flew back to Vancouver and went in for what was easily one of the most intense interviews I had ever experienced. A few months later I received a letter in the mail saying I had been accepted. The same day that I got accepted to medical school was the same day that the YouTube channel had reached a 100,000 subscribers, and it was also the same day that I received my visa from the Dutch government saying that I had been accepted to live in the Netherlands for 5 years. All things worth celebrating, right? But I was so incredibly overwhelmed that day, I remember breaking down, crying, and telling Robin I didn’t know what to do. I had worked several years jumping through hoops to get into medical school, and to be accepted was amazing! But at the same time, this new YouTube channel was showing potential and I didn’t know that I was ready to give it up. It felt fulfilling, but there was also no sense of security. Living in a new country was also exciting and new; I was able to be with the person I loved, but at the same time I was living away from family and friends, who I also loved. It felt a huge weight on my shoulders, and I didn’t know which decision was the right one. In the end, I turned down the acceptance offer. I needed to explore the potential in Pick Up Limes, and in the worse case scenario, I knew I could always apply again. When I started the channel, I would remember back to when I first transitioned to adopting a plant-based lifestyle. I was so confused about so many different things. Was I getting enough vitamins? Was I getting enough minerals? Was I getting enough protein? Where could I find well-balanced meal or snack recipes? All those classic questions people often ask when new to the lifestyle. I wanted to be a source of information for people with those kinds of questions. 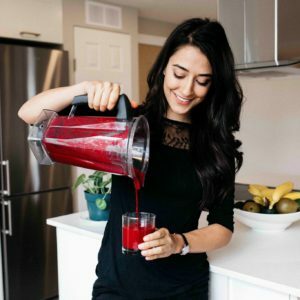 I had a background in nutrition so I felt comfortable sharing some of the basic information with people online: sharing vegan recipes and nutrition information. I also branched out and started sharing things about the topics I’m passionate about, like minimalism, for example. I’ve always been interested in being content with what we have and not needing things in excess. I’ve also always been fascinated with personal development topics. When I lost my aunt to cancer, I started listening to that genre of audiobooks a lot, and I learned so much from it all. It really helped me through some of my most difficult times, and I wanted to share the insights I was learning with others. Working as a Dietitian in a hospital and in private practice, the income was comfortable. In Canada, they take pretty good care of healthcare professionals, and through the hospital I also had different kinds of benefits and a pension as well. But on that note, Vancouver is an incredibly expensive place to live. I wasn’t paying off my student loans as fast as I would have liked, but I was comfortable. As a YouTuber, I didn’t make any money at all for the first six months, and for many content creators I’ve known it’s taken much longer than that even still. So in the beginning, Robin was supporting us both with his income. My first pay check, I think, was $100 USD six months after having actively posted to the channel, 2 videos a week. I was so excited to make the hundred bucks, which was crazy. It’s crazy because I was putting in 80 to100-hour work weeks, each week, for six months. And the payout was how much I made in a few hours as a Dietitian, but it was the most rewarding hundred bucks I had ever made in my life. I love being able to share information with people that hopefully see some value in. Luckily, after a lot of hard work and dedication, I’ve been able to turn this into a career. I had always been really nervous to start the whole YouTube thing because I was always nervous about what my colleagues, friends, or family might think. For a really long time I kept the whole YouTube thing to myself. I just kept making content but not sharing it with anyone. I also never felt like I was doing things well enough. I always compared my videos to those of channels I admired, and would think mine paled in comparison. Comparison really is a thief of joy. I think that was the push I needed to just go ahead and just put the content out there. I knew I could always make alterations. I could always delete things later if I wanted. So that was really comforting: to be okay with just jumping in and doing it. I’d also encourage people to make sure that whatever they do is something they really love to do. What’s the point otherwise? Then I reminded myself that this is what I want to do. This is what I chose to do. If at any point this does not make me happy anymore, I have complete freedom to stop. Having a strong “why-power” really helps to keep going when things feel difficult. Another tip is one I alluded to before, which is to be not only okay, but proud of ourselves for sharing content that reaches 5, 10, 15, or 20 people, because that’s more than most doctors will see patients in a day. That’s always been my measure of “success”. So again, dear reader, what do you think? Are you going to watch more of Sadia’s videos? Are you planning to give the YouTube adventure a try? Let me know in the comment section below. I look forward to reading you! Wow thank you for that very interesting article on how to become a successful YouTuber. It is an idea I have been thinking about for a while, setting up my own YouTube channel. It seemed such a daunting task but this interview with Sadia has enlightened me and inspired me to look more into it. Her story is fascinating and her attitude towards being a YouTuber is fantastic, especially in her early days. Yes I will watch more of her videos as you can always learn from the best. My questions are these how much content do I need to have ready before I should get going? It looks like I need to be very confident to get my information across, is this something I can lean or should I just go for it? Thank you for brightening up my day by sharing this article with me. Hi Nathalie – What an incredible story! Sadia had to make a really hard decision and overcome some blows as well. Her success is truly inspirational. Her video definitely makes you want to watch more so I can certainly understand how she has such a huge following. Am I ready for a youtube channel? I am not quite there yet, although with success like this it’s hard not to jump onboard already. I am a bit shy and even having my picture taken is hard – How do you overcome this part? I will definitely be checking out “Pick Up Limes” – can always use some healthy recipes. Great interview! I really enjoyed it Nathalie! Thanks for this informative and inspirational post, I actually find your story very inspiring , as I have always been challenged by my inability to get more views and always give up, but I loved the way you handled the situation even having just 5 views in a day and appreciate it, I believe that was the point that changed my mind completely that I can possibly be a successful youtuber. Good job! Wow! What an amazing post. I really enjoyed reading Sadia’s interview. Very detailed on her journey and what it took her to get accepted to medical school all to decline it to follow her passion, which at the moment she did not know was YouTube. However, I really like how open she is about her journey. I will definitely subscribe to her YT. I have read your article on How to Be a Successful YouTuber, i found your post very useful and interesting. really it is an article with lots of information about becoming a youtuber. i liked Sadia’s videos and i would like to give a try at YouTube adventure. i will share your article with my friends also. thank you for the post. My answers to this these questions : Do you wonder how to be a successful YouTuber? Have you ever thought about starting a YouTube channel to share your knowledge with the world?…is a resounding yes! I want to be a YouTuber, so desperately. I made a few videos that were so large and so ugly, that I dumped the idea temporarily. But now I’m being inspired by Sadia’s story. I think it’s time to go dust that dream and get it back on the road. YouTube is probably the best way to reach a large number of people that there is. However, as is often the case with people who start websites, YouTubers often think that success is faster and easier than it really is and give up too early. Sadia’s story is a reminder to keep at it, whether with YouTube or a website. I was wondering if I should start doing interviews on YouTube and boom comes your page! I can really relate to Sadia’s journey, I was going through a similar thing as her and was also wondering how many months it took for my content to start paying off, glad I’m not the only one! Can’t wait for your next interview, keep up the good work! This is a really great motivation for those of us who are looking forward to being a better YouTuber. I started my YouTube channel few months ago and I haven’t been getting the number of views I expected, not expecting much though but a number of views that indicates I’m trying. I guess reading through your experience I know what I did wrong and where the fault is. Great work putting this up, keep up the good work. I am happy to read this insightful interview and its just like an eye opener for me. This is more or less like a refresher course to me. I am into youtube affiliate marketing but yet to have a good grip of this businesses. After few year of ups and downs, I got to know that a continual search for knowledge to improve your niche is very important. Another important thing is originality and perseverance make you style unique and write uncommon post. With this you can always make a passive income. It’s always great to hear from successful people who work online at something full time, as you never know what little tips you’ll be able to pick off them and implement into your own online journey. 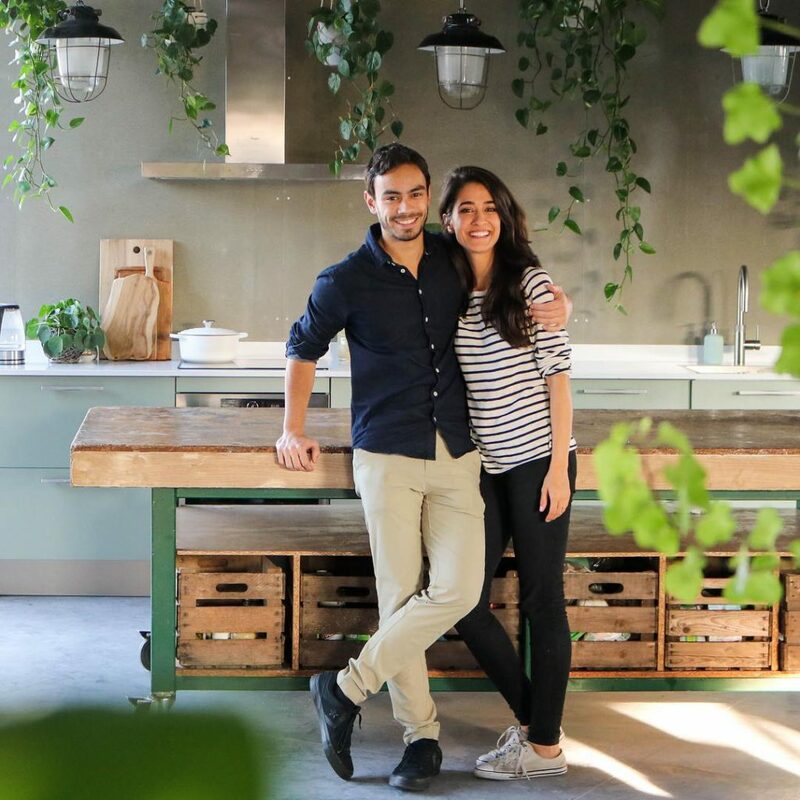 This Sadia was obviously a talented dietician before she came online to YouTube, and she seems to have done a great job in building up this channel. Was this her very first attempt at making it big online?